여러분, 안녕하십니까? 웰컴투아메리카의 박형권입니다. 오늘도 ‘Leora Andersen’이 여러분과 함께 합니다. Hello, everybody! It's good to be here again. 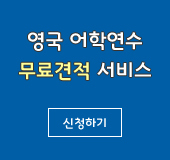 이렇게 추운 겨울에는 할아버지 할머니가 들려주시는 옛날 이야기를 듣곤 했었는데요, 리오라 선생님도 그런 기억 있으신가요? Well, my parents told me nursery rhymes. They would tell me a nursery rhyme to maybe put me in a better mood if I was crabby, or crying, or not being the best little girl I could be. And that usually kind of got me out of that whiny crabby mood. A nursery rhyme is a children’s song that rhymes. 잘 알려진 전래 동요들이 많이 있지요? 가장 잘 알려진 전래 동요 몇 가지만 들어보시겠어요? There're many many popular nursery rhymes. Some of my favorite ones were “Five Little Pigs,” “Pat-A-Cake, Pat-A-Cake,” and “Twinkle, Twinkle, Little Star,” and “Humpty Dumpty”. 제가 좋아하는 동요/동시는 ‘Five Little Pigs (다섯 마리 아기 돼지)’ ‘Pat-A-Cake, Pat-A-Cake’ (토닥토닥 케이크를 만들어요)’ ‘Twinkle, Twinkle, Little Star (반짝 반짝 작은 별)’ ‘Humpty Dumpty (험티덤티)’ 등입니다. 그럼 동요 중 하나 소개해 주시겠어요? Well, I'll do the Five Little Pigs. And this is something that my dad did. 이 내용은 “This Little Piggy”로도 알려진 ‘nursery rhyme’입니다. Just picture yourself with your little toes in front of me. And I'm gonna start with big toe. And at the end I probably want to tickle you or tickle your feet, the bottom of your feet, or tickle you somewhere and that would get you laughing. So, that was one of my favorite ones. I have grandchildren, but they are all older now. But when they were little, I used to play with them and tell them nursery rhymes. The Five Little Pigs. That's one of the ones I used. Humpty Dumpty was probably one that I talked to them about, too. 요즈음도 미국 어린이들은 전래 동요를 많이 부르죠? Yes, nursery rhymes are still popular, and many children still love to hear and have you sing along and have you play along with them. And it's a good way to get children to learn things and to help develop their vocabulary, and get them to in some cases talk and to count or do the alphabet and do their counting skills. 그리고 ‘Humpty Dumpty’라는 동요도 유명하지요? 영국 전래 동요인데요, 미국에서도 잘 알려져 있는 동요입니다. Let me tell you the words to Humpty Dumpty. I'm not going to sing it though. 험티 덤티가 무엇이죠? 사전을 보면 영국의 전래 동요에 나오는 담장에서 떨어져 깨진 달걀처럼 생긴 땅딸보, 부서지면 원래대로 되돌릴 수 없는 물건이라는 의미가 있다고 되어 있는데요. Humpty Dumpty was really a very powerful cannon that was used during the English civil war in the 1600’s. And it was mounted on top of a big wall, and it was supposed to defend the city. And the church tower was hit by the enemy, and the tower was blown apart. And it caused the cannon to tumble to the ground. So, the king's men tried to mend the cannon, but they couldn't put it all together. 그렇게 해서 동요가 생겨난 것입니다. 1600년대에 생겨났습니다. 그러니까 서양 전래 동요에는 역사적 배경이 있는 것도 있군요? It does. That's one of the popular nursery rhymes. But probably not many people know the history behind that. 웰컴투아메리카, 오늘은 전래동요에 대한 이야기를 나눠봤습니다. 지금까지 저 박형권이었고요, ‘Leora Andersen’이 함께 했습니다. 여러분, 다음 주 이 시간 다시 찾아 뵐 때까지 행복한 한 주일 보내시기 바랍니다. 안녕히 계십시오.